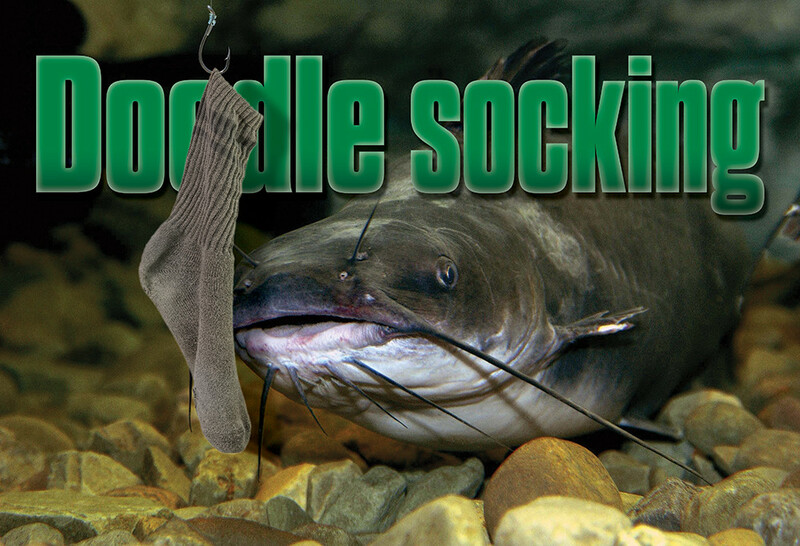 There’s no better time to use a technique called “doodlesocking” than late spring and early summer, when channel catfish are spawning. This is a sure-fire way to load up on channel cats and have a day of fast-paced fishing action – and you won’t even need a boat. When water temperatures begin to reach the 70 degree mark, have your gear ready because the window of opportunity will end by late June when the dog days of summer arrive. There are a few “tattletales” that mother nature provides that the “old school” catfish anglers have used for decades to predict the time of the spawn. Blooming cottonwood trees are a good indicator that the spawn is near. If wheat fields have reached maturity and are ready to be cut, there’s a good chance you’ve already missed a week or two of prime channel catfish action. Local bass anglers are also a great source of information. If they complain about catching channel catfish while bass fishing, then you should be fishing! Doodlesocking is a finesse fishing technique, so light tackle similar to what is used for largemouth bass or white bass is a perfect fit. If you’re looking for an excuse to buy a new rod and reel, the 7-foot, 6-inch Ugly Stik CAL1100 ML action rod and Abu Garcia 5500C3 are a perfect “no frills” combination for Texas channel catfish. 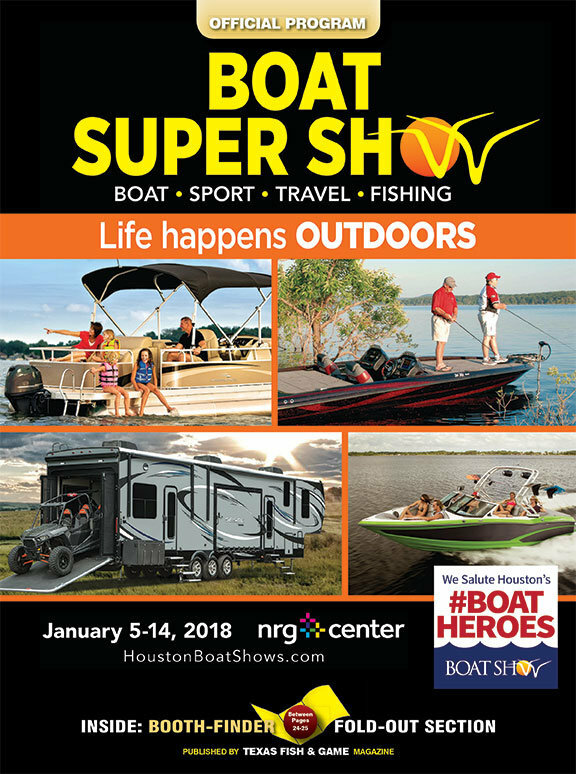 If fishing from the shore, a longer rod will come in handy, such as a 10- to 12-foot crappie rod paired with a spinning reel.The additional rod length allows you to access some areas that you would otherwise not be able to and allows you to place baits in very tight places. Monofilament fishing line in 12 pound test provides easy casting with the light tackle you’ll be using but is still durable enough to hoist fish out of cover or heavy timber. Prepare your rig using a slip bobber and a size 6 treble hook that is 4X strong adding a small split shot sinker a few inches above the hook. The slip bobber aids in detecting the light channel catfish bite and also helps reduce snags fishing in and around cover. The preferred bait is a form of “stink bait” referred to as punch bait. There are many popular brands like Team Catfish Sudden Impact Fiber Bait and CJ’s Catfish Punch Bait. Punch baits allow you to fish with a bare treble hook and eliminate the need for any special bait holders or sponges. They’re easy to fish with and very effective. To bait the hook you simple lay it on the top of the bait and use a stick or screwdriver to “punch” the hook into the bait (hence the name punch bait).Use the fishing line to pull the hook from the bait and you’ll find it loaded with the stinky concoction. Channel catfish nest in cavities and like very dark secluded spots for spawning. Crevices, debris piles or spaces between and under rocks are popular spawning locations. The male channel catfish selects and prepares a nest site and lures a female in for spawning. The female lays a mound of eggs and the male fertilizes them and forces the female out of the nest. The male remains in the nest with the sole job of fanning the eggs to keep sediments off them, keeping them aerated and protecting the eggs from predators. Eggs usually hatch in about 6-12 days. The small group of fry remains in a compact group in the nest for a few days until they leave as a group. The male will remain with the fry until they leave the nest. Many catfish anglers grow frustrated because they take a “sit and wait” approach, waiting for the fish to come to them. But that rarely happens. You have to find the fish and almost knock them in the head with a bait to get them to bite, so inches can make the difference between fishing and catching. Finding the right area with access to numerous spawning locations will keep you busy but location is critical. Just keep casting and working potential locations until you catch a fish. When you catch a fish then slow down and cover the area thoroughly because it’s rare to catch only one. Male fish will strike defending the nest but rarely just roam around feeding. They’re identified by their large head and skinny body. Males also commonly have cuts and scrapes on their bodies from defending their nest sites. Female fish will be more plentiful and are easily spotted by their distended bellies full of eggs. They’ll be concentrated near these spawning locations. Cast right against the potential nesting site and wait 60 seconds and then retrieve and cast again moving down a few feet. Watch the slip bobber closely because the fish will strike quickly and then drop the bait, so a quick hook set is essential. If you’re not getting bites, then adjust the bobber stop slightly and experiment with depth changes of the slip bobber. Once you find that “magic depth” and location you’ll stay busy catching fish. They key is getting the baits in front of the fish and moving quickly if you’re not catching fish. Slow down only when you catch fish and exhaust an area. Shore anglers can use long rods and walk rip rap shorelines or creeks and fish spawning locations from shore. Simply drop the bait in the water staying tight against cover in potential spawning areas. With a long crappie rod you can cover a lot of water in a short time on foot. Selective harvest is critical during spawning season, so make sure you release all of the male fish and be cautious of how many female fish you keep so the lakes remain populated with channel catfish. Texas law allows anglers to keep 25 channel catfish per person that are twelve inches or longer.